I was kinda curious how this baby would perform once installed in the rack and how it’ll compare to my workstation, which is also a Core i7, 12GB of RAM, tons of HDD space (about 4TB), GeForce GTX285, some BD and DVD drives and other stuff all crammed on a standard ATX main board. 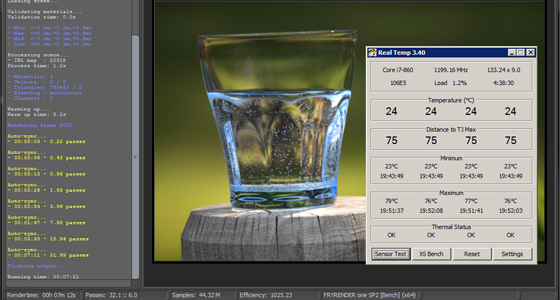 Here’s a quick video of the setup and of the first benchmark, for which I used the latest 64bit FryBench renderer. Quite surprisingly, the render node performed a bit faster than my workstation (might be due to the fresh install, though). It rendered the glass scene in 00h:07m:12s. 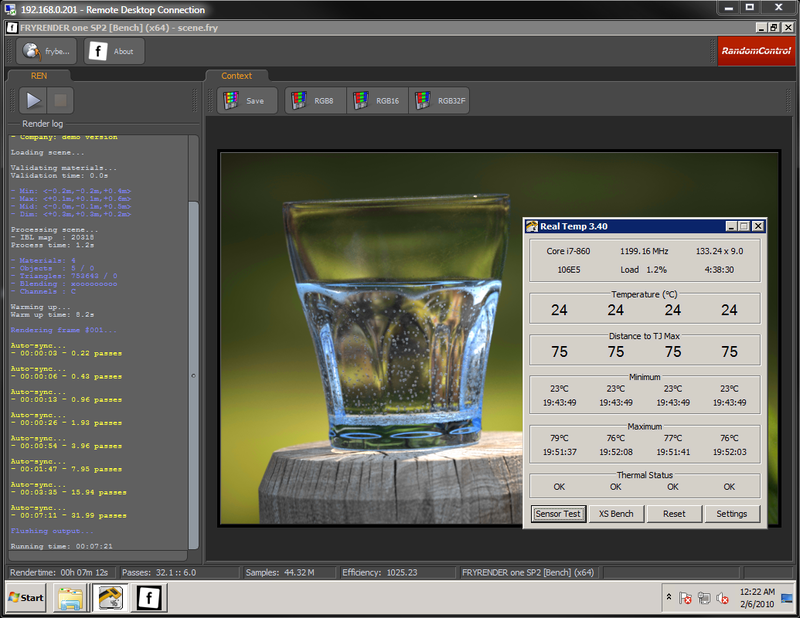 My workstation finished the scene in 00h:07m:29s. I’m quite pleased with not only the speed of the render node, but also how cool it is. The temperature never went above 70°C, which is very, very good! Especially in a crammed rack setup. But obviously, the more nodes in the rack, the more heat they’ll produce and I’ll certainly have to deal with that later, especially during summer.